However, Valentine’s Day is not only about public displays of affection. In recent years it has also become big business. In the UK alone, more than £40 million is spent on Valentines cards, flowers and gifts. Although Valentine’s Day has become a global industry, the origins of the day are unclear and hidden in the mists of time. No one knows exactly who St Valentine was, although some historians suggest he was a Roman martyred in the third century AD by a Roman Emperor. It is said that the imprisoned Duke of Orleans sent the first recorded Valentine’s card in 1415. It is believed that he sought solace from his confinement by sending love poems to his wife. 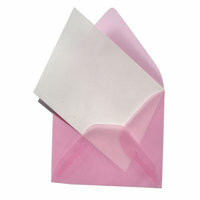 Millions of Valentines cards and larger Valentines gifts of love are sent through the post in early February each year. Many postal services in numerous countries celebrate Valentine’s Day by issuing ‘love stamps’, ideal for love letters for her and Valentines cards. St Valentines Day: Stampnews.com is a guide for those who love stamp collecting. Find current news on stamps, rare stamps of famous persons, beautiful modern stamps world-wide. In 1985 An Post, the Irish Post Office, started issuing Love stamps for use on Saint Valentine's Day cards. The first pair of Valentine's day postage stamps issued depicted clouds and balloons (22p value) and hearts and flowers (26p value). An Post continues to issue new designs each year. The U.S. Postal Service has issued Love stamps for Saint Valentine's Day annually since the 1973 issue designed by Robert Indiana. The first issue was an 8 cents stamp with a printing production of 320 million stamps. Why not send flowers as a gift? Roses are perfect. There is a ‘sweet briar’ roses stamp from 1978 which was worth 13p and is now worth £130,000. The uniqueness about this stamp is that the 13p stamp did not get printed for some reason. There are only three of these stamps in the whole world. The Queen owns two and one could be available, at the right price! Whether you send letters or a parcel, you will need a post box or one of the exceptional parcel boxes, available at Postbox Shop…there are many stylish and practical solutions to suit every budget. Why not check out one of our custom painted bespoke letterboxes, traditional or domed. This range is exclusive at Postbox Shop, you can now design and order your own letterbox. Simply choose a letterbox model, choose a combination of colours to match your ideas and we will deliver your unique letterbox within 2-3 weeks. Romantic red is an ideal choice. Our Parcel Dropbox is perfect, simply place a parcel onto the internal shelf and close the lid, which will drop it down inside the box, a section only accessible with your key. It is unique as it will accept multiple deliveries, and it can be screwed to a wall or concreted into the ground with a base plate. Our Zurich letterbox is much smaller, however ideal for both external and internal use. If you have any questions about our diverse range of products and services, letter box or parcel box ranges, please contact our friendly team today.